A recent clinical trial revealed how taking BioCell Collagen® daily improves skin appearance. 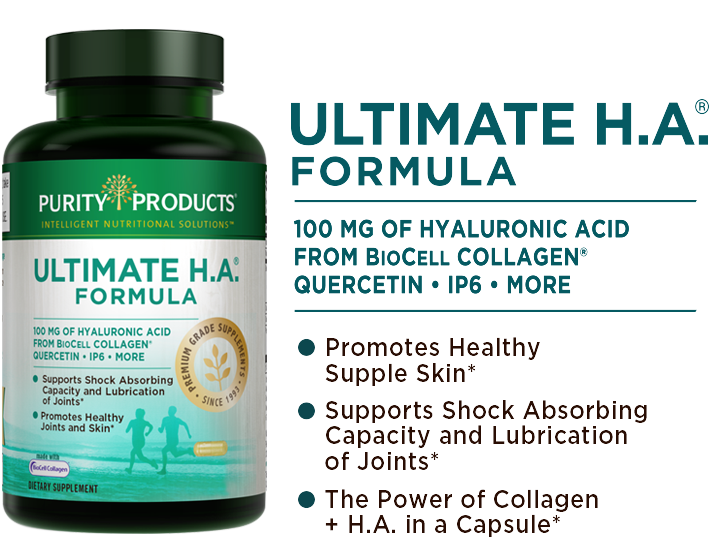 A study group of 26 healthy women, aged thirty-five to fifty-nine, took 1000 mg of BioCell Collagen® per day (the exact same dose as found in Purity’s Ultimate H.A.® Formula). 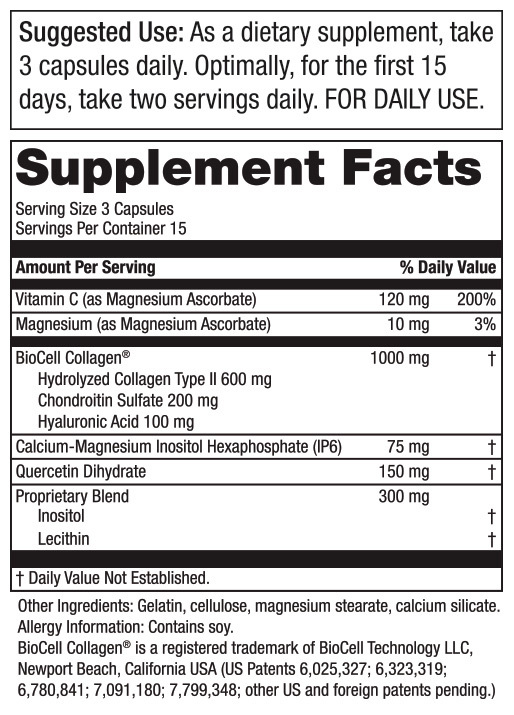 I have felt so much better since I started taking this product that I really don't know how I got along without it. I've tried other H.A. Products, but Purity Product's Ultimate H.A. Formula is THE BEST and MOST EFFECTIVE for me and my family. I can see and feel a difference! Ultimate H.A. is by far the best product I have ever used. Is Purity's Ultimate H.A. Formula® safe and supported by science? Yes. BioCell Collagen® — the key compound in Purity's Ultimate H.A.® that delivers Hyaluronic Acid, Hydrolyzed Collagen Type II, and Chondroitin Sulfate — has been safely and successfully used by millions of people since its introduction in the market in 1997. It was affirmed as GRAS (Generally Recognized as Safe) by an independent expert panel following rigorous scientific reviews for not only safety and toxicology, but on manufacturing processes according to Good Manufacturing Processes (GMP) for food, as well. Clinical research supports the safety, bioavailability, and effectiveness of this ingredient and its constituents. It has been granted multiple U.S. and international patents for being unique and highly useful. 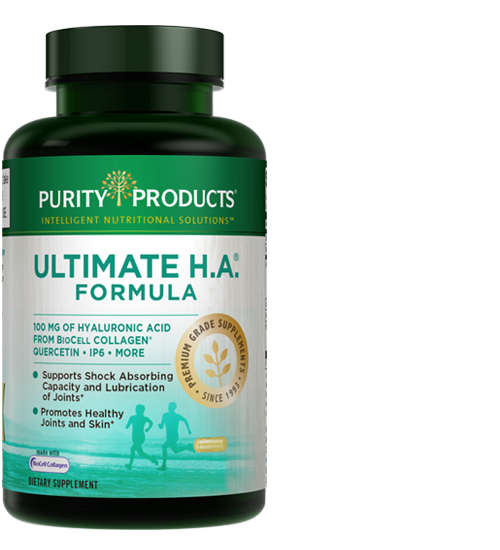 What are the critical nutritional elements found in Purity's Ultimate H.A. Formula? 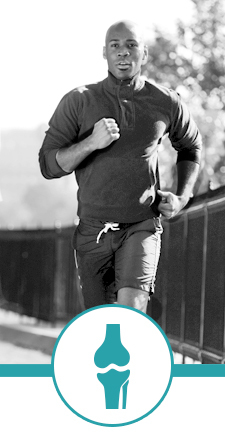 Who should include Purity's Ultimate H.A.® Formula as part of the health maintenance program? 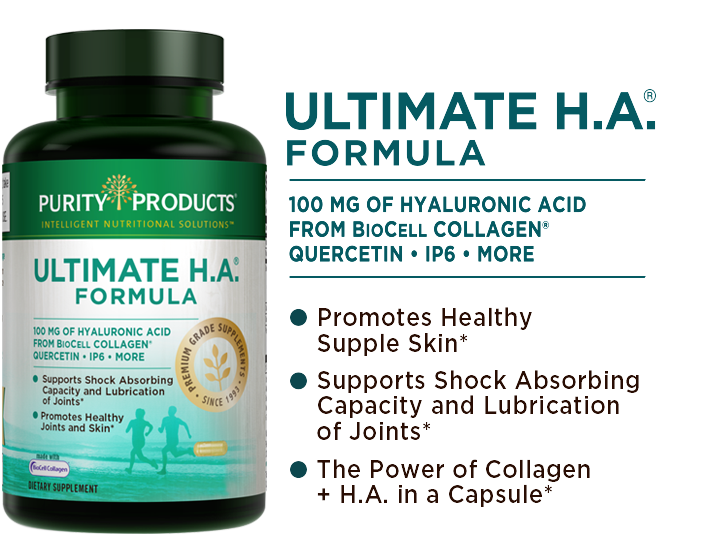 Is Ultimate H.A.® Formula similar to glucosamine? † - $4.95 shipping and handling fee applies. 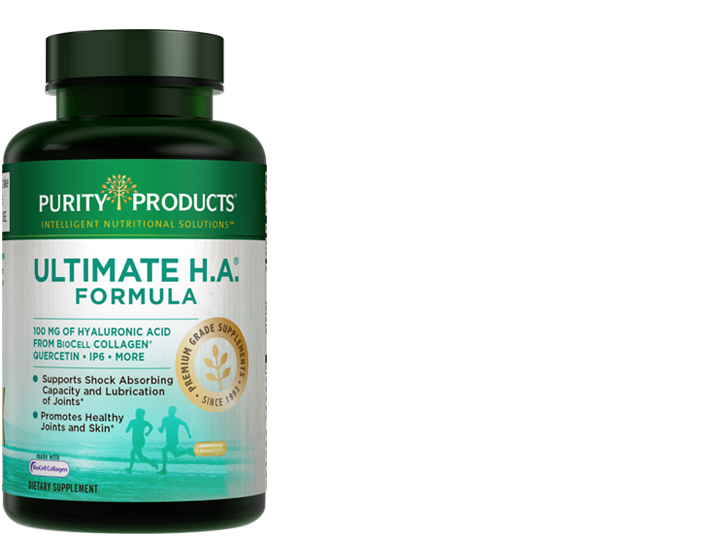 By accepting our exclusive Free bottle offer for Ultimate HA Formula® (15 day supply) you will be enrolled as a Super Saver. As a Super Saver, you will receive 3 bottles every 90 days at the discounted price of just $29.95 per bottle (25% off retail), plus $4.95 shipping and if applicable your state and local tax, charged to the payment method provided today. Each bottle is a 1-month supply. Your first delivery of 3 bottles will ship about 2 weeks after you receive your Trial bottle, so you don't miss a day. If you wish to change the frequency, date of shipment or number of bottles on Super Saver, you can sign up for online access or call Customer Care at 1-888-769-7873.